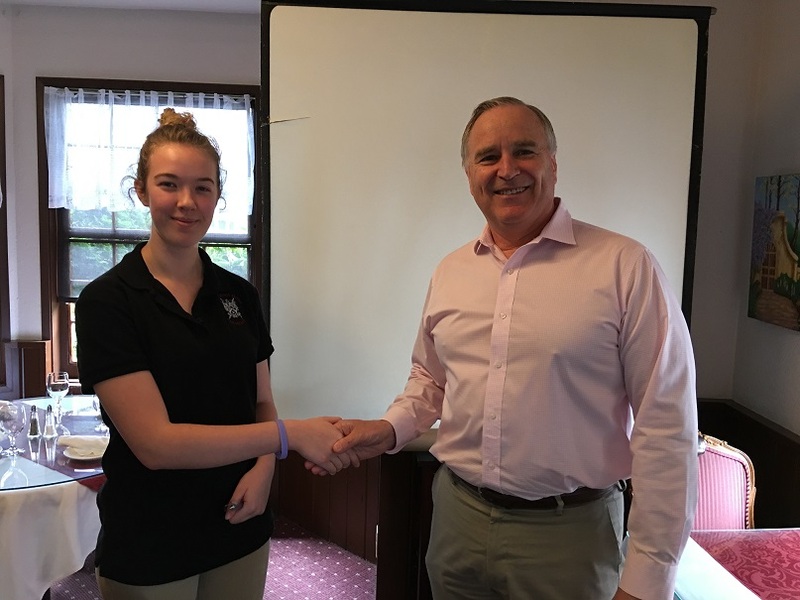 Rotarian Dave Vallee thanks Rachel Way for her delightful presentation at our club today. Rachel is a grade 11 student at Saint Thomas More Collegiate. She was sponsored by our club to attend the Adventures in Citizenship held in Ottawa. She had many great experiences while making new friends.